It’s time to put on your dancing shoes, even if you can’t dance! LearnToDance in Eton Wick is about to go ‘Strictly’ mad with brand new FitSteps classes starting from 8.30pm on Tuesday 4th & 10am on Wednesday 5th February at the Eton Wick Village Hall, Eton Wick Road, Eton Wick, SL4 6LT. ‘Strictly Come Dancing’ dance stars Natalie Lowe and Ian Waite have teamed up with six time world champion swimmer Mark Foster, a former Strictly contestant and an expert in fitness and conditioning, to produce a unique dance and fitness programme – ‘FitSteps’. They have combined, for the first time, the best known and most popular Latin and Ballroom dances with proven fitness techniques, to develop a dance/fitness programme that is capable of delivering fast fitness results, with a heap of fun thrown in! Do it and you feel like you’re on STRICTLY!! It was brilliant! Fun and fitness combined. A workout that doesn’t feel like it, it’s so much fun!! Great fun, great music and a great workout, without even realising it. Great workout, fun, and makes you feel like a star!!! So, if you’re ready to take to the floor and FitSteps your way to a new you, all you need to do is be at the Eton Wick Village Hall on Tuesday 4th February at 8.30pm or Wednesday 5th February at 10am where Antony Holeksa (an accredited FitSteps Instructor) from LearnToDance, will be waiting to put you through your FitSteps paces! Get there early, there’s going to be a rush! For more information you can contact Antony on 07736 272225, email us at info@want-to-dance.co.uk, or check out our website at www.want-to-dance.co.uk/fitsteps. Classes are £5 per person or £45 for 10 sessions. Due to unforeseen circumstances our Zumba Gold classes at the Magnet Leisure Centre will be stopping after the session on Wednesday 29th January. There are currently no planned Zumba classes to replace them, however Antony will be starting brand new FitSteps classes from Tuesday 4th February. Our brand new FitSteps classes start from Tuesday 4th February at The Eton Wick Village Hall, Eton Wick Road, Eton Wick, SL4 6LT. 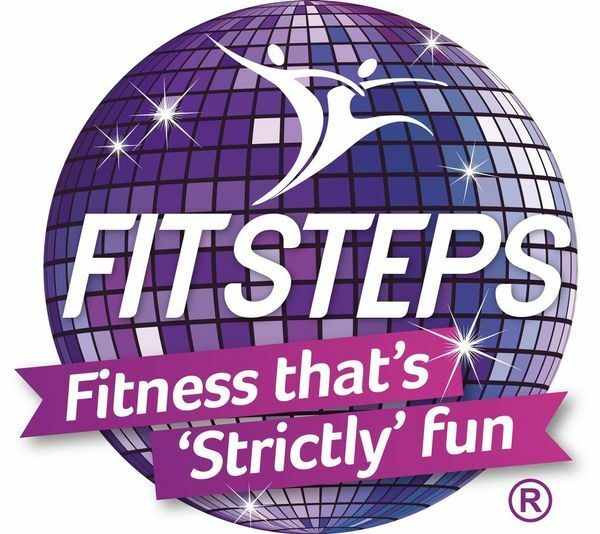 Created by Natalie Lowe and Ian Waite of ‘Strictly Come Dancing’, FitSteps® takes the very best of Ballroom and Latin, mixes it with the latest, proven ways to get fit FAST and deliver the most exciting, fun, fabulous fitness experience you’ve ever had. These classes are a great way to learn and practice actual Ballroom and Latin American dance steps that wouldn’t look out of place on the floor of Strictly Come Dancing! Add to that the fitness aspect and before you know it you’re getting fit whilst having fun. Classes are £5 per session or 10 sessions for £45. You can see our latest newsletter at http://want-to-dance.co.uk/newsletter/20130104 or check you inbox! So Strictly starts in a little while and all the training videos have now been released. They loved the dance, though Kara felt at the start of the week that the music was slow and boring. She’s scared by the fact that even with letting go it wasn’t enough, so where can she go from here? I think they could perform a very good Paso Doble this weekend. Karen makes a slight error I think in saying that the Paso originated in Spain, although the music is Spanish the dance itself originated in France. However the rest of her VT and tips are great. Ian Waite and the midweek report. Jimi & Flava: Should be no hip action in Paso. Needs to bring some shaping into his arm movements, curving the arms round above his head. Gavin & Katya: Poor cape usage, looks like a dishcloth. However could be a great dance for him. Ann & Anton: All the steps are correct…though she looks like she’s treading through mud. Pamela & James: Looks like she’s done some dancing previously, an inner sense of posture and finishes her hand movements. Patsy & Robin: Similar character as the Charleston so should be good for Patsy. Felicity & Vincent: Their beginning is all about Felicity’s acting skills. Scott & Natalie: Brilliant, free-flowing movement. However needs to keep himself upright rather than tilting his head towards Natalie. Tina & Jared: Need to be closer in the top half of their hold. Where should I start learning to dance? Latin – Salsa, as you can then move onto Rumba and Cha Cha Cha easily; Ballroom – Waltz. Why do you keep knees flexed in Tango? The Tango is characterised by the stalking of prey. I also think that it allowed the Gaucho to get closer to his Lady of the Night. How can I make my dancing more flamboyant? Upper body – the lower body deals with the rhythm, the upper body is the affectation of the music. Over the moon to have upped their score from 31 in the first 3 weeks. Previously Aliona felt Matt was not expressing the dances as well as he could, up until the Charleston and that’s why they got such high scores. We’ll be seeing Argentine Tango from them on Saturday night. On today’s show: Michelle, Ian & Brendan; Karen Hardy Choreography Corner; Pamela & James; Gavin & Katya. So first up are Michelle & Ian, fresh from their bottom two finish on Saturday night, joined by Brendan Cole back from his father’s funeral. Brendan reveals that he felt a little jealous watching Michelle dancing with Ian on Saturday night. Ian felt nervous about the responsibility of making sure that Michelle made it through to the next week so that she could go back to dancing with Brendan. Michelle has the Jive this weekend, I’m guessing it’s going to be a disaster and this could be the week Michelle goes, but I will have to wait to see the training videos to be sure. I’m afraid I always skip past the “Out of the Glitterball” section so I can’t tell you much about that. Karen reveals she likes the added extras and props, so long as it’s not overboard and doesn’t last too long. First for analysis is Felicity & Vincent: Looking at their floor spin with Felicity balanced on one leg. Karen applauds the trust between them and also Felicity’s flexibility. Jimi & Flavia: Claudia felt they were undermarked. Karen doesn’t agree with Bruno that Jimi was out of time with his cane work and actually felt he was “masterful”. Matt & Aliona: a “brilliant” double cartwheel though Tina & Jared performed the same move slightly lighter. Scott & Natalie: great “light and shade” in their dance, really using the music to express the dance. Gavin & Katya: Gavin’s strength in his legs allowed them to do a throwaway oversway all the way down to the ground, when they could’ve done a much easier movement. Ann & Anton: Whilst everyone wants to talk about the “flying hippo” Karen concentrates on the outside swivels and her basics and body contact, something Ann is improving at. Patsy & Robin: “Great Charleston, classic”. She doesn’t need any gimmicks or gizmos. Pamela reveals she wasn’t worried about the score itself, but rather James’ reaction to it. James wasn’t disappointed by the scores as apparently in training they’d only managed to get through it once out of three attempts. Also it appears that this was the first Tango that James has performed on Strictly. This weekend they will be dancing the Jive and I look forward to seeing their training. Gavin is a bit of a mixed bag for me, some weeks he seems to be really developing and then one thing, like the slip at the start on Saturday, throws him back into himself. It looks like Gavin will be the first person this series to visit an acting coach and let’s hope this increases his confidence. Personally I don’t tend to touch my hair after I first do it in the morning so I can’t quite understand the fascination, though I must admit his hair is looking quite good today! They have Paso Doble this weekend, which requires even more acting than the Tango so if Gavin doesn’t start coming out of his shell this could be another poor performing week. I’ll update tomorrow with some of the training videos, and I might actually be able to do that one live this week!